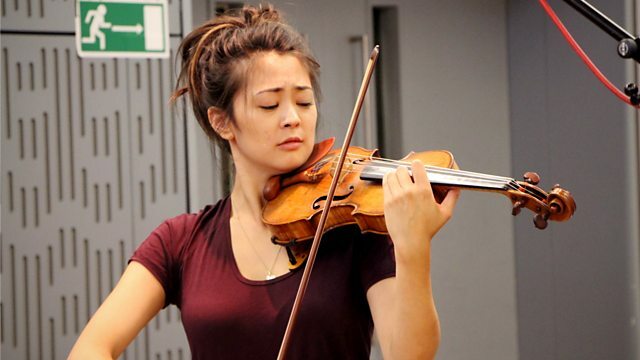 Katie Derham's guests include violinist Simone Porter, Chineke! Junior Quartet, pianist Ariel Lanyi and director Robert Carsen. Rising star, violinist Simone Porter, plays live in the studio ahead of her performance at Edinburgh International Festival with the American youth ensemble Colburn Orchestra. Katie Derham talks to Robert Carsen who is directing a very contemporary take on The Beggar's Opera at King's Theatre, Edinburgh. There's more live music from young talent in the form of Chineke! Junior Quartet, performing at The Africa Centre Summer Festival this weekend. And our celebration of young musicians continues with live music in the studio from pianist Ariel Lanyi, fresh from his performance at North Norfolk Music Festival. Performer: Simone Porter. Performer: Richard Uttley. Singer: Patrizia Kwella. Singer: Paul Elliott. Ensemble: The Broadside Band. Conductor: Jeremy Barlow. Orchestra: Berlin Philharmonic Orchestra. Conductor: Zubin Mehta. Works for Violin and Orchestra.